specifically for commercial vehicles (light and heavy), by type of insurance buyer between courier and postal service firms, the motor trade, operating lease firms, removal firms, road haulage for customers, road haulage on own account, van and lorry hire firms, and other fleets. Note in this context that ‘other fleets’ refers to fleet vehicles operated for their own use by a variety of types of private and public sector organisation other than those listed and who arrange their own insurance. In addition, an extra segmentation of the Dutch market is provided by fleet size between micro fleets (with three to five vehicles), small fleets (with six to 50 vehicles), medium fleets (with 51 to 500 vehicles), large fleets (with 501 to 5,000 vehicles), and very large fleets (with more than 5,000 vehicles). 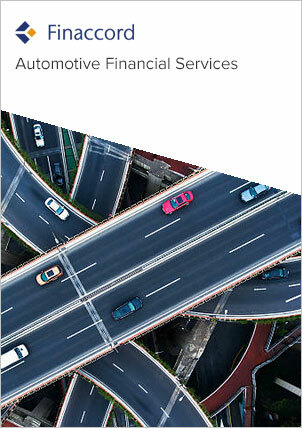 Furthermore, on the basis of a survey covering over 120 such entities, the research identifies schemes for fleet motor insurance and road assistance in the Netherlands set up by car clubs, leasing brokers, leasing companies, minicab app services, peer-to-peer car sharing schemes, ride sharing schemes, trade associations and vehicle hire companies, with brokers, underwriters and assistance providers. Finally, for fleet GAP insurance, affinity schemes are researched for leasing brokers, leasing companies and trade associations only. For further information about this research, please access the table of contents and series prospectus by clicking on the corresponding links to the left-hand side of this page, or e-mail info@finaccord.com. To begin downloading this document you will need to either sign in or create an account below. collected and used in accordance with our privacy statement. Please check box if you do not wish to receive these communications. Finaccord is also able to undertake bespoke research and consulting assignments about this and other subjects. For further information about the types of consulting that Finaccord is able to carry out, please visit our Consulting page. accordance with our privacy statement. Finaccord is a market research, publishing and consulting company specialising in insurance and other financial services. Finaccord is part of Aon Global Operations, Singapore Branch. ® 2018 Finaccord. All rights reserved.